Bunions also referred to as hallux valgus or hallux abducto valgus, are formed when the big toe bends towards other toes. As a result, this makes the connecting joint to protrude painfully resulting in a deformity. This deformity has a gradual onset but may lead to complications such as bursitis or arthritis if not treated early enough. Furthermore, bunions are more common in women than in men. It affects about 23% of adults, having an onset between 20 and 50 years old. Moreover, bunions in adolescent girls may develop at the early ages of 10-15 years. Though the exact cause of bunions is unclear, there are some likely factors that can trigger this deformity. Many runners struggle with bunions. This deformity can deter any runner from performing excellently due to the pain and discomfort. 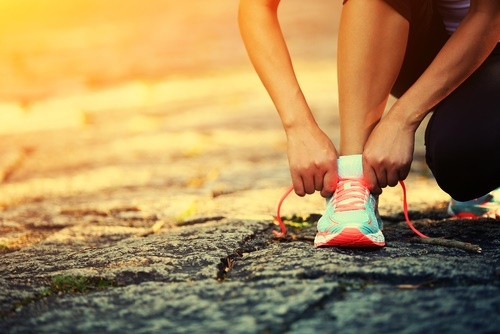 Keep reading to see our top 5 recommendations for the best running shoes for bunions. The best running shoes for bunions should be comfortable, roomy and stretchable. Additionally, it should have a wider toe box, enough room for your bunion to spread, and great arch support. Such shoes should not rub the sensitive area. These are some of the qualities to look out for when shopping for the best running shoes for bunions. 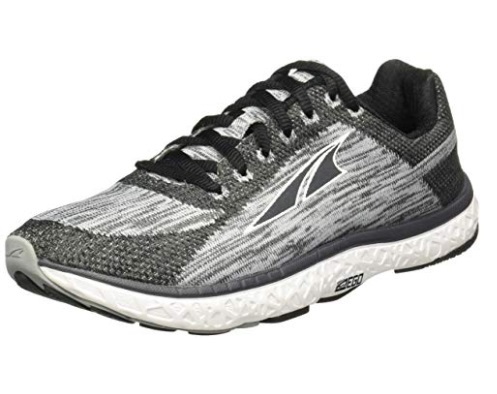 This running shoe is made from fabric and synthetic and features rubber soles, fresh foam midsole, ortholite sockliner and a data driven midsole and outsole design that offer runners smoother heel-toe transition. Its bootie construction with engineered mesh allow for ventilation and dryness of the feet. Moreover, people with bunions or orthotics will love the large toe box and snug feeling it gives the midfoot while running. Many customers love its plush and cushiony feel. 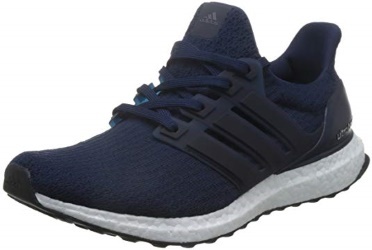 This running shoe is made from fabric/synthetic, with a synthetic sole, and mono-mesh with trouble-free no-sew overlays on a sleep platform, that will keep your feet dry and provide them with sufficient breathing space as you run. It also has a zero-drop platform and a metapod traction outsole. 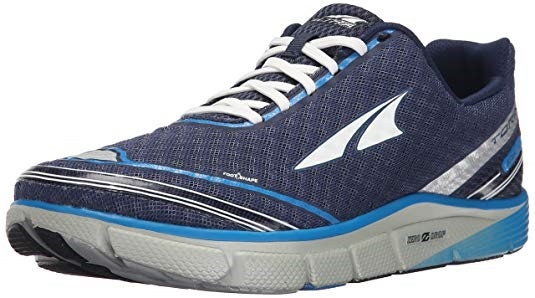 It is made with anatomical toe box to naturally position your foot and provides great support for sensitive feet.The dual-layer altrabound cushioning this imported shoe offers balances the runner without causing much discomfort to the bunions during long distance running. This is the best running shoe for people with either high or low arch. 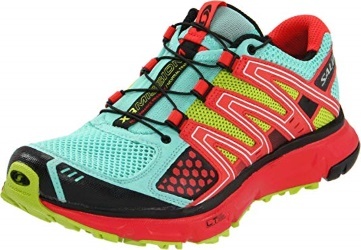 This running shoe is made from fabric/synthetic and has several awesome features. It possesses Gait-enhancing Impact Guidance System (I.G.S.) for improving the natural form and harmonization of your feet and legs while walking, jogging or running. This lightweight shoe boasts an exoskeletal heel clutching system and rearfoot and forefoot gel cushioning systems. Its fluidride bounce-back cushioning and fluidfit multi-directional reinforced stretch will ensure you run long miles with the maximum comfort possible. This running shoe is made of great motion-control components. Its maximum arch support and wide width make it a favorite for people with bunions and orthotics. Its mesh offers great breathability. You could run with stability and ease, even with flat feet. The ariel provides great traction for slippery roads and your feet will love the cushioning this shoe offers. It also comes in widths of B (medium), D (wide), and 2E (extra wide). However, it has limited styles and colors. This running shoe is made from mesh-synthetic materials and a sleek aesthetic. It offers a well cushioned and bouncy Escalante with the typical oversize toe box, which is made wider by a stretch mesh on the upper part of the shoe. It is designed to perk up running, racing and training forms, toe-splay, push-off, traction, and comfort. 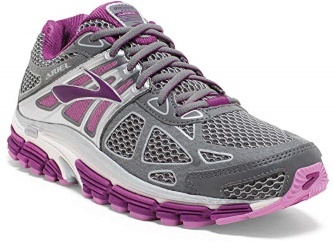 Furthermore, with its responsive altra ego midsole, this 6.5 oz running shoe sets you apart from other runners. The zero-drop platform soothes any discomfort bunions might cause while the stretch mesh eases pain. This running shoe is from synthetic and mesh material. Its unique heel cassette ProGrid technology provides maximum convenience and performance. It also provides a roomy toe box, denser and more structured arch for female runners with bunions and lower-arched feet. Its dual density SSL EVA midsole and SRC forefoot cushioning are its major advantages. It is available in D-width for women, to make room for the bunion-afflicted feet. This running shoe is made from nylon mesh, contra grip high abrasion rubber, EVA foam console, TPU frames and lugs. These major components are put together in a display of great technology to form a lightweight, great traction, excellent transition and springy running shoe. It also has the latest dual technologies – sensifit and sensiflex – which are working together for an optimal running experiecnce. 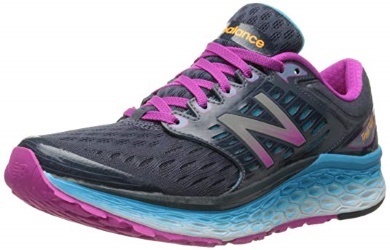 Furthermore, an excellent shoe for female runners with bunion-related defects, this shoe offers an EVA foam midsole that will protect the toes from bunion-related discomfort. 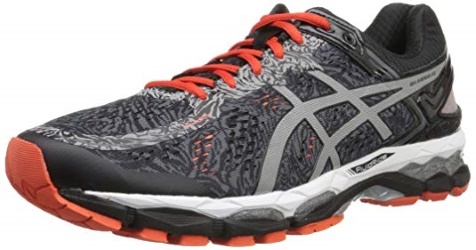 This shoe also provides great traction, better transition and quick responsiveness while running are some of the few things this shoe is known for. This running shoe is made of leather in the United States of America. It has a rubber sole with extra height that is comfortable, durable and also stylish. The outsole and midsole of this terrific running shoe are shock-absorbing with high traction for a great running performance. Furthermore, it fits perfectly well and is extra-wide, which is a bonus for runners with bunions. 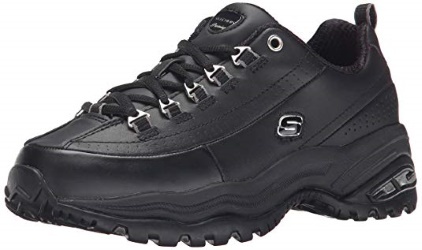 This high-quality female shoes also have a lightweight EVA midsole and lace-up vamp. It is perfect, not just for running, but for work, play and strolling as well. This running shoe is from textile and synthetic material. It comes with a removable insole and a high-quality rubber sole. Each foot strike from this amazing female running shoes will release an energized push-off for a light, fast run. Furthermore, its cushioning is of such great quality that the manufacturers claim it does not pack down over time. The cushioning neither makes the shoe heavy nor sacrifice the ground feel. Moreover, the molded heel counter of this shoe is a natural fit that is great for Achilles movement. Overall, this shoe boasts of a torsion system for a very stable ride. 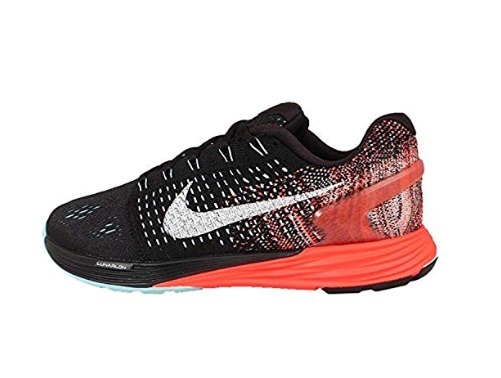 This running shoe is from USA and is of mesh, carbon rubber, and Nike flyknit material. 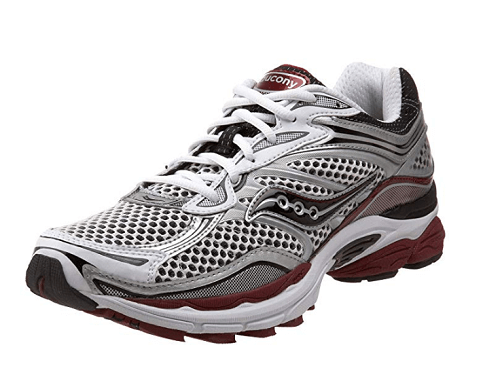 Designed to match the standard running shoe length, this shoe is for comfort and optimum support. The cushioning on the heel and forefoot are high and act as shock absorbers, protecting the foot from impact and fragments on roads. It also has flywire cables and a TPU heel counter that are superb fits for your heel and midfoot. The seamless support it offers is dynamic and quite matchless. Nike LunarGlide 7 is the best option for over-pronators, flat-footed runners, and runners with medium to high arches. High-heeled shoes – Wearing high-heeled shoes that crowd your toes and smoosh them into the front of your shoes can stress the joint. This will make it sore. Ill-fitting shoes – Wearing under-sized, very tight, narrow and pointed shoes can trigger bunions. Heredity – The structural formation of the toes that make the big toe bend towards other toes could be inherited. The likelihood of developing bunions could come from family history. Rheumatoid arthritis – Bunions result from having an inflammatory condition known as arthritis. Unequal length of legs – Having one leg longer than the other could result in the formation of a bunion on the big toe of the longer leg. Body weight – Being overweight can cause bunions to become more severe. 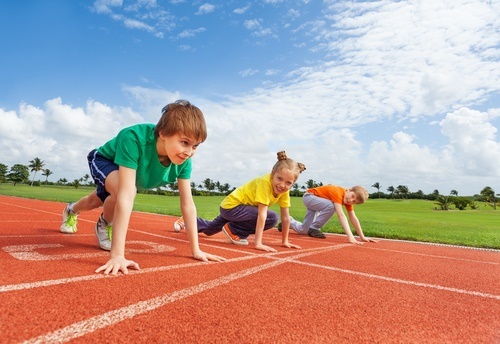 Therefore, you should make sure to maintain normal body weight. There are several ways you can tell whether you have bunions. Use ice packs or massage the inflamed area. In summary, whether you have bunions or are simply shopping for the best running shoes, one of the first qualities to look out for is the width of the toe box. Lightweight, good stability, cushioning, durability and price should also be put into consideration. This will help you acquire a shoe that will make running an enjoyable sport. Moreover, it will also help to prevent you from getting bunions, and in turn allow for a comfortable running experience.